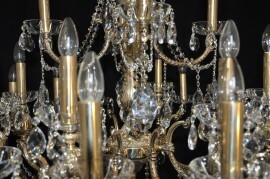 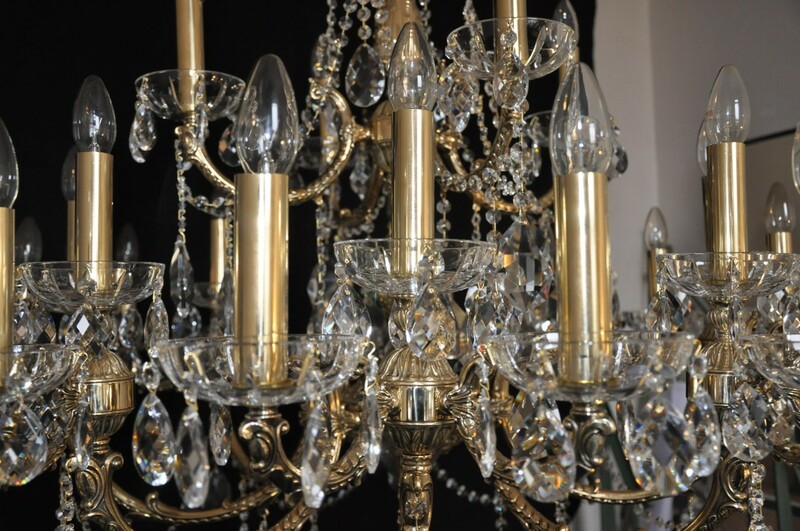 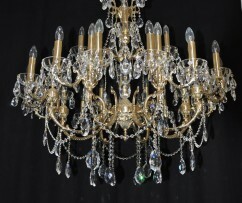 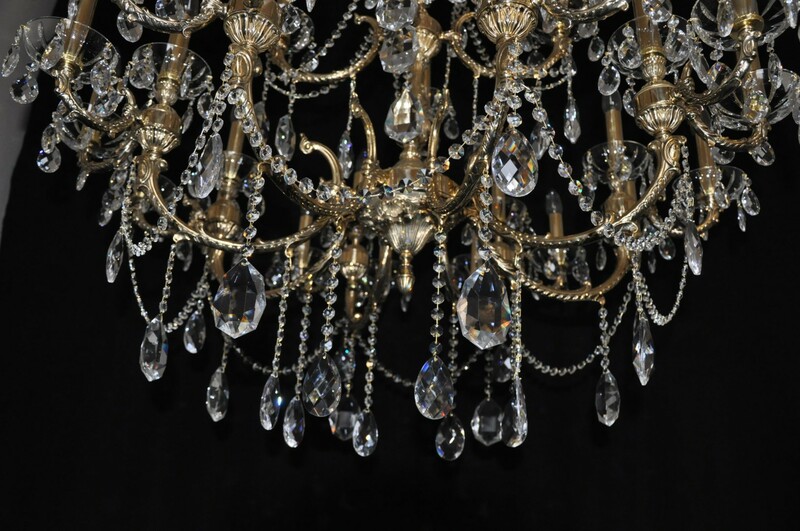 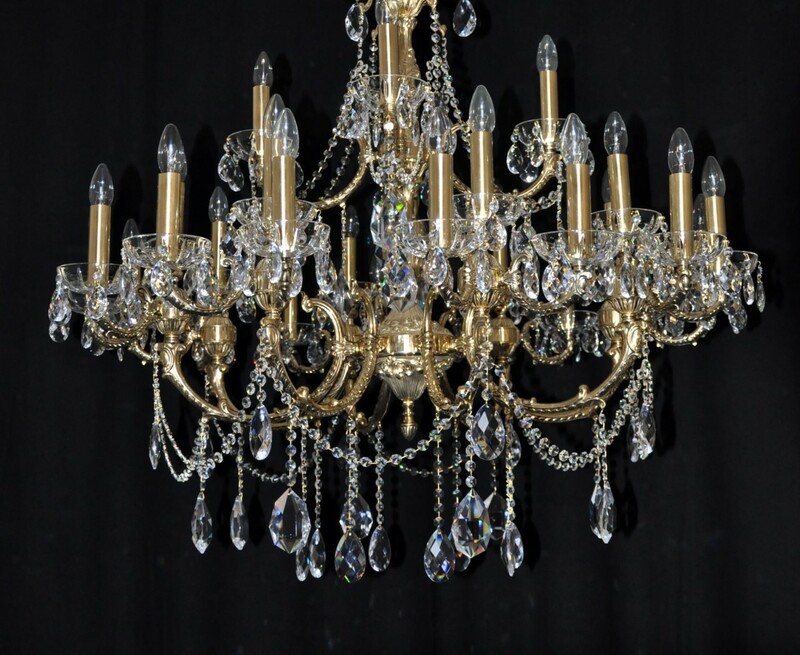 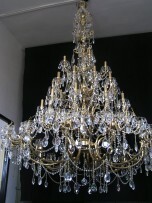 The custom-made chandelier made of cast brass parts. 2 tiers of metal arms. 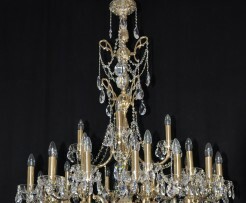 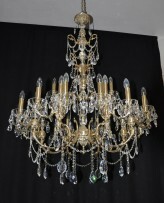 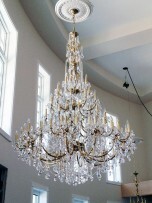 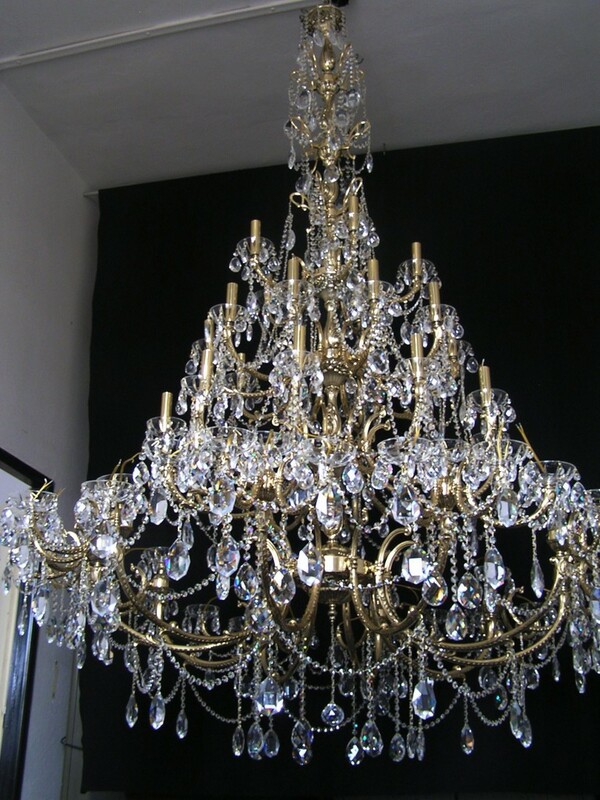 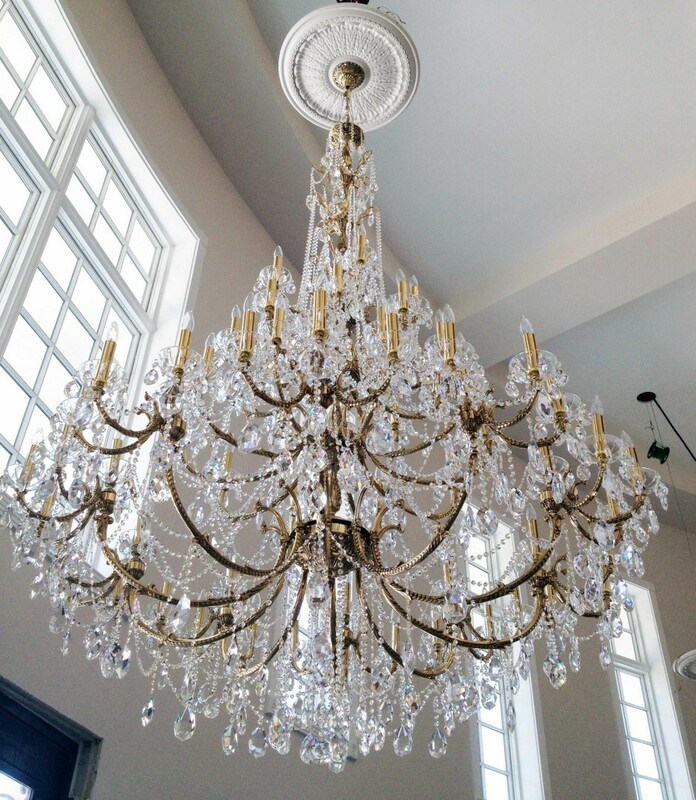 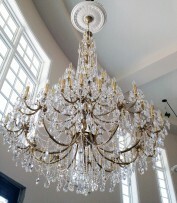 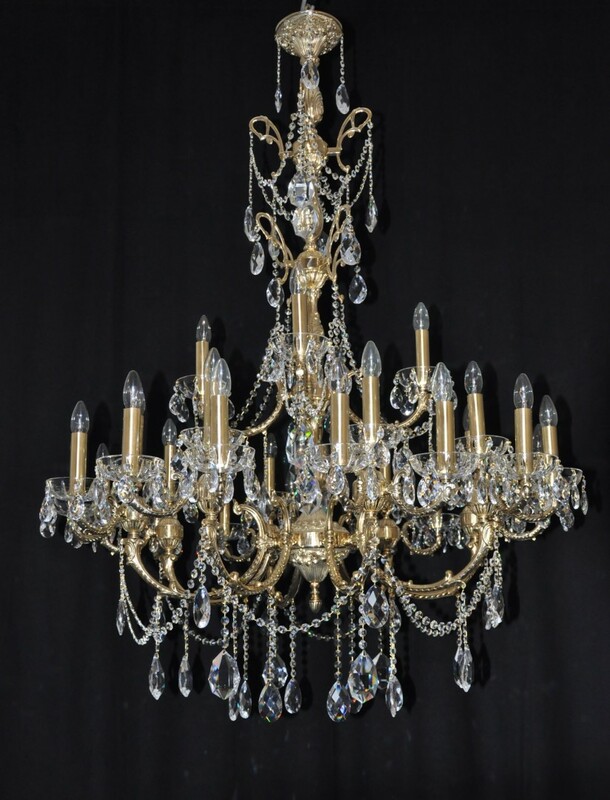 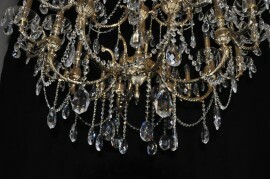 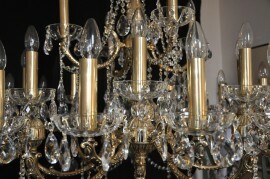 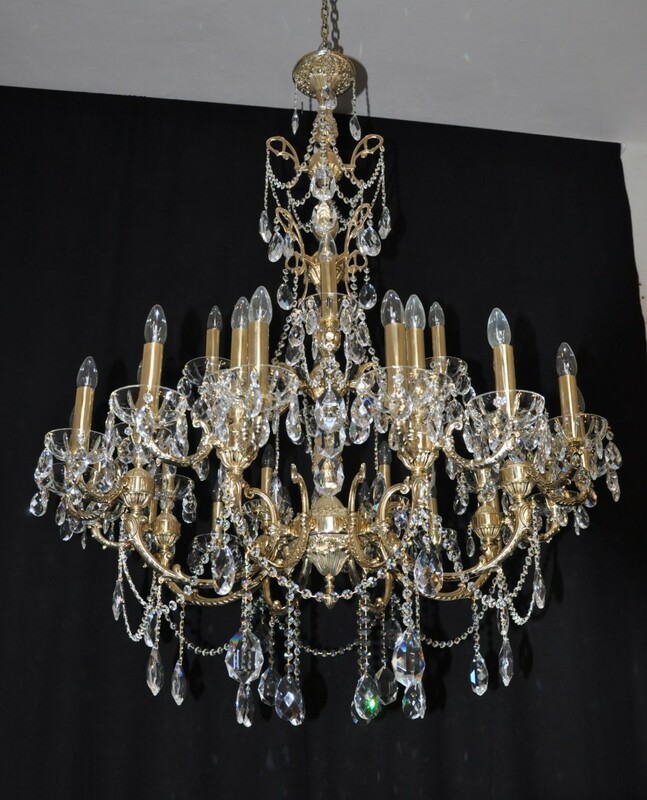 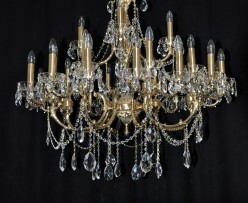 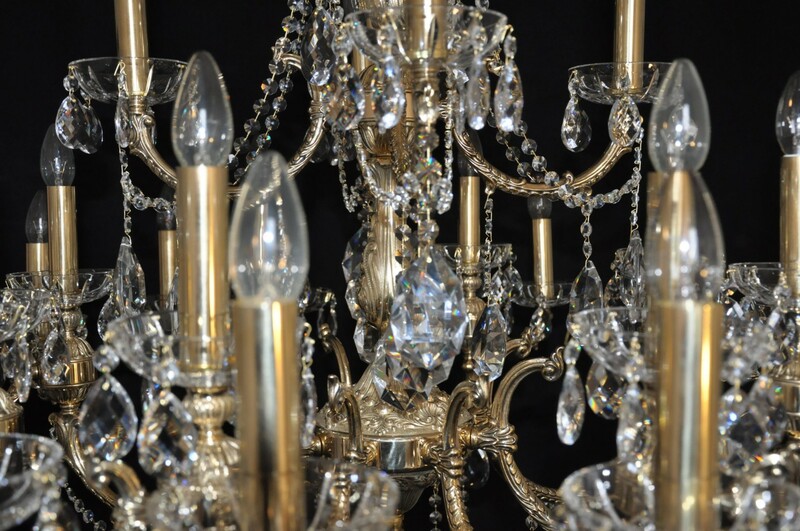 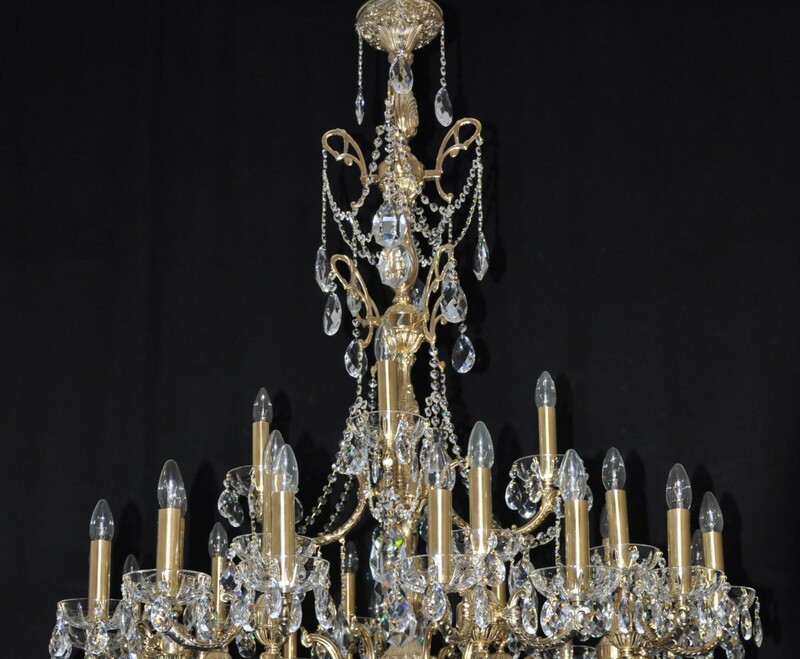 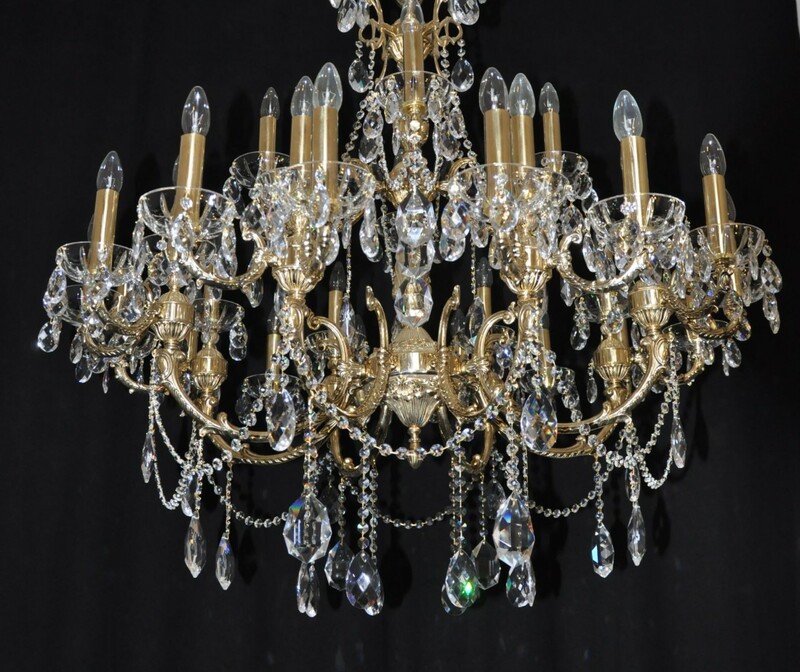 Larger chandelier in the same style - "installation"
5 tiers of metal arms. 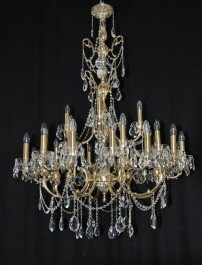 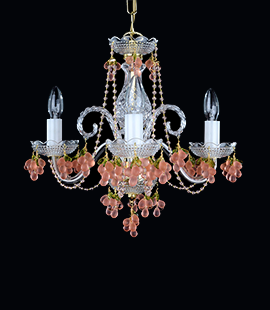 Part of delivery is the tested full welded chain and cast brass ceiling rose.